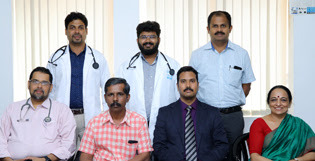 Neuroradiology is a subspecialty of radiology focusing on the diagnosis and characterization of abnormalities of the central and peripheral Nervous system, Spine, Head and Neck using Neuroimaging techniques. Primary imaging modalities include digital X-ray, computed Tomography (CT) and Magnetic Resonance Imaging (MRI). Neuroimaging has become a well-established super specialty in Radiology. The recent developments in advanced Neuroimaging techniques have gained great importance in the management of various Neurological and Neurosurgical cases. At Indo American Hospital, we provide the best services in Neuroradiology, with highly-specialized and experienced doctors and technicians. 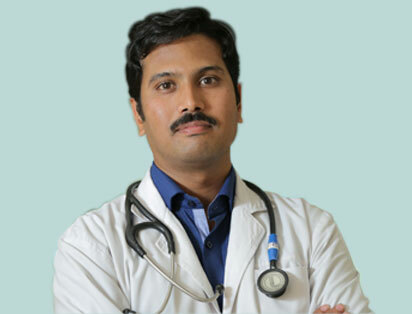 Dr. Harsha completed his MBBS from JJM Medical College, Davanagere,Karnataka in 2005, MD (Radiodiagnosis) from Govt. Medical College, Baroda,Gujarat in 2009, DM (Neuroimaging and Interventional Neuroradiology) from Sree Chitra Tirunal Institute for Medical Sciences and Technology in 2012. He worked as Assistant Professor from Aug to Dec 2009 at SS Institute of Medical Sciences and Research, Davangere, Karnataka. After that, he signed up as Consultant Interventional Neuroradiologist in Yashoda Hospital Hyderabad. He worked as Consultant and Head of the Department of Neuroimageology and Endovascular Neurosurgery, and as teaching faculty for DNB neurosurgery program from Sept 2013 to July 2016. He completed international clinical fellowship in cerebrovascular diseases from Canada (North America) in 2017, after which he worked as Consultant & Head of Stroke, Neurointervention, Neuroimaging & Neurosonology in Brain-Sparsh hospital, Bangalore. He rejoined our hospital from Sept 2018 as Consultant and Head of the Department of Neuroimageology and Endovascular Neurosurgery. He is the first Indian to obtain International certification in Neurosonology (European) and second Indian to pursue European Master in Stroke Medicine (Austria). The MR Spectroscopy gives details about change in molecular composition of Brain. MR imaging also gives details about cerebral vasculature without needing to administer contrast. The Radiology department is equipped with 1.5 tsla MRI, 6 slice CT scan and l DR available 24 hours with experienced technicians to undertake the scans and Neuro Radiologist available in the hospital to interpret the images and scans and make it available on line to the operating surgeons and neurologists instantly. Procedures like CT Angio are also done at the Radiology department. Magnetic Resonance Imaging (MRI), Nuclear Magnetic Resonance Imaging (NMRI), or Magnetic Resonance Tomography(MRT) is a medical imaging technique used in Radiology to investigate the anatomy and physiology of the body in both health and disease. 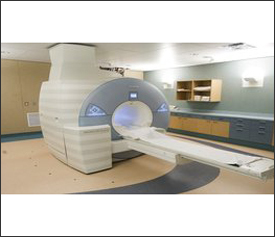 MRI scanners use strong magnetic fields and radio waves to form images of the body. The technique is widely used in hospitals for medical diagnosis, staging of disease and for follow-up without exposure to ionizing radiation.